Note: When set to AUI transceiver via DB-15 port, the link test is disabled. 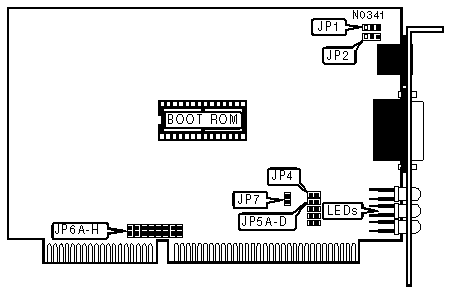 Note: Jumpers JP7 & JP4 are configured independently of one another. If timing problems occur, you should first change JP7. If timing problems persist, you should then change JP4.